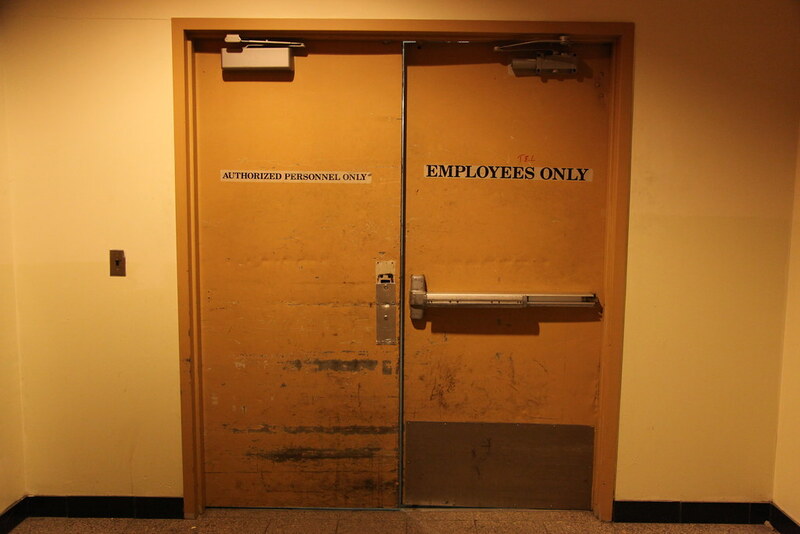 One door is for non-employees that are authorized personnel. The other is for employees only, who may be unauthorized personnel. Just kidding, of course, they lead from the community room corridor into the nearby service corridor. Years of abuse and neglect have resulted in extensive scarring of the heavy steel fire doors.